College Campaign Week culminated with the Senior class visiting Marion Military Institute and Judson College. 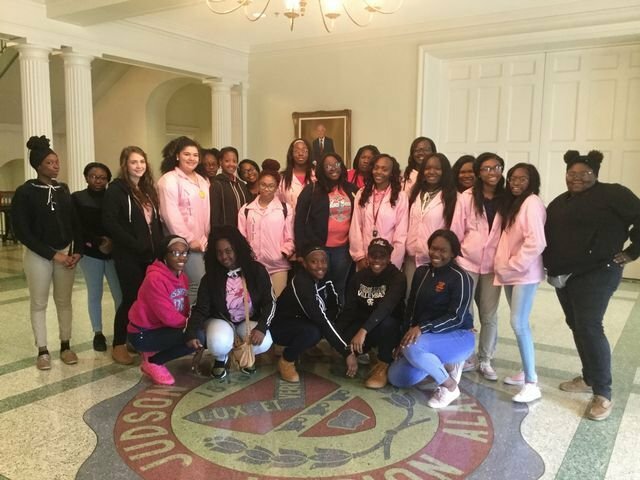 The female students spent the morning at Judson College visiting the campus, sitting in classes of their potential major, observing Homecoming festivities and having lunch with the JC students. While the girls were at Judson College, the male students were visiting MMi, basically doing the same thing. Upon returning to Francis Marion, the students expressed how much they enjoyed the campuses and admitted that they were surprised at the campuses right in their own home town. Several of the students actually applied to both schools and expressed interest in attending.